Safe Environments | Which Non Slip or Anti Slip Treatment? Which Non Slip or Anti Slip Treatment? In many instances floor surfaces such as ceramic tiles are chosen for aesthetic preference and may not be well suited for functional slip resistance performance. As such a designer may go to extraordinary lengths to use a non slip or anti slip product to treat a particular floor in order to ensure its functionality and yet still maintain the original concept. Non slip or anti slip proprietary treatments generally use an acid etching technique that allows for such aesthetically appealing tiles to become functional and safe, or does it? 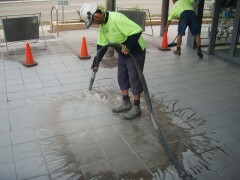 The technique of acid etching increases the surface roughness by chemically changing the structure of the tile surface. The process usually involves applying a hazardous etching agent such as a hydrofluoric solution which attacks the calcium in bones. The etching agent reacts with the glaze and the silica composition of the tile, thus decomposing microscopic amounts of the silica to form valleys and ridged grooves on the surface of the tile or etches through the glaze to the porous body of the tile. This change in microstructure changes the overall surface roughness and porosity of the tile, hence increasing the slip resistance. The effectiveness of non slip or anti slip acid etching treatments is dependent on the chemical resistance of the surface along with the porosity of the tile body, the strength of the acid, the length of time that the acid is applied and how many applications are applied. 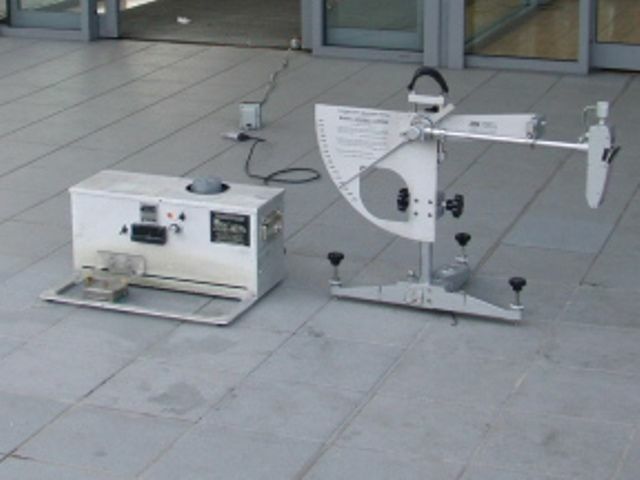 While non slip or anti slip acid etching treatments are regarded by many in the ceramic tile industry as the most effective technique to increase slip resistance of flooring surfaces, there is minimal evidence on the extent and effectiveness. Much of the information and marketing of acid treatment is inconsistent, unconvincing and the testing methods used to validate such claims, are usually conducted “in-house” and rarely meet Australian slip resistance standards (Whitfield, K, Bridge, S, Mathews, S. 2005, ‘Selecting Coating for Tiled Floors’, The University of Sydney: Faculties of Health Sciences and Architecture). 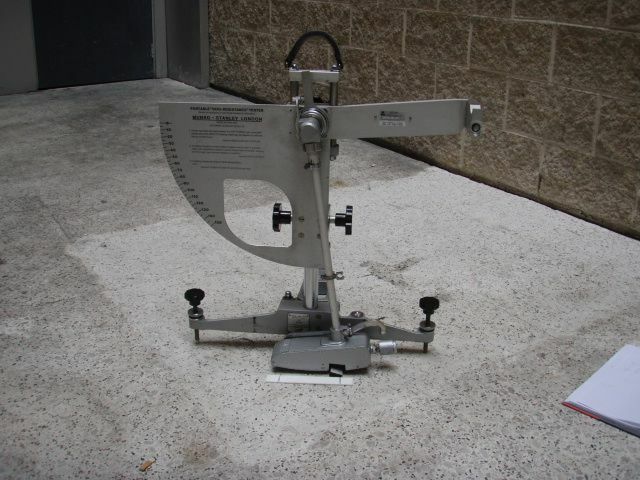 Non slip or anti slip acid etching treatments should be evaluated by an independent slip resistance testing company as many non slip or anti slip treatment companies use American test methods that use a pull meter and do not meet the requirements of the Australian slip resistance standards. The pull meters provide inaccurate and potentially dangerous and litigious situations. 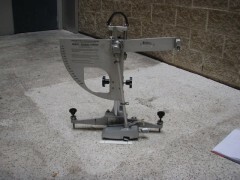 Only wet pendulum and dry floor friction testing used in accordance with AS/NZS 4586 or AS/NZS 4663 can check the onsite slip resistance of non slip or anti slip acid etching treatments. 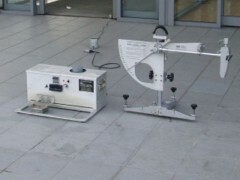 While non slip or anti slip treatments provide an opportunity to reduce the risk of a slip and fall accident by increasing the slip resistance of a floor other design features should be considered and include awnings, airlocks and matting to reduce the extent and likelihood of contamination, visual aids (warning signage and contrasting stair nosings), administrative controls (cleaning regimes and maintenance), fall prevention aids (barricades and handrails) and consideration the environmental conditions (lighting and sloping surfaces) along with the footwear to be worn. Slip Check recommends a variety of non slip & anti slip treatments to be applied to the surface and tested immediately after and some weeks following to check any potential drop in slip resistance. From this a cost benefit analysis can be conducted for large scale projects. In some cases an immediate non slip or anti slip must be applied to prevent an accident from occurring. This is in line with following the Australian risk management principles of AS 4360 of assessing treatment options. Additionally the colour may change significantly after non slip & anti slip treatments and the surface may stain more easily. 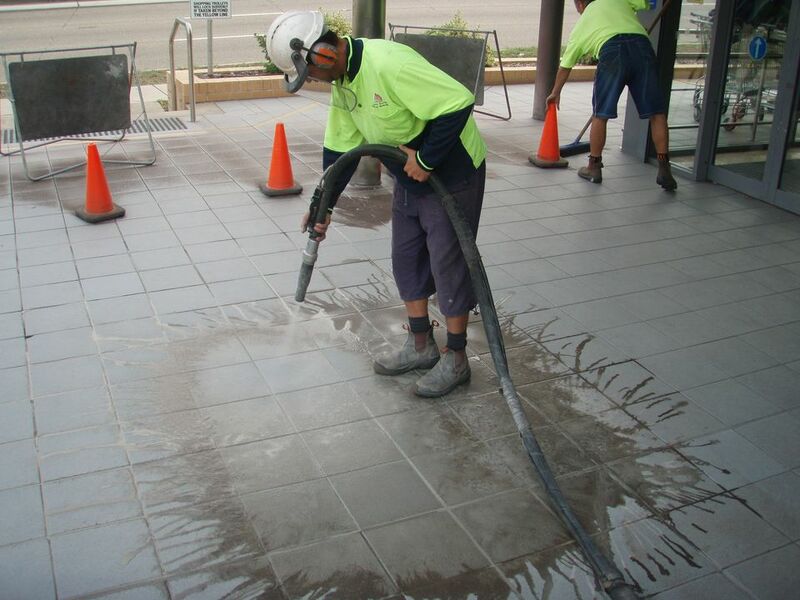 In general, strict ongoing maintenance and cleaning procedures may be required after non slip & anti slip treatments are applied to maintain the slip resistance of the surface.